Robotics is the science or technology of designing, building and using robots. Robotics is the use of computer-controlled robots to perform manual tasks. Robots are commonly used by the military and businesses to complete tasks that are dangerous for people, such as defusing bombs, exploring shipwrecks, and mines. They are also used to perform monotonous jobs, such as on an assembly line. There are personal or service robots to assist with personal tasks. There are robots for the use of entertainment. The appearance of robots depends on their function or purpose. Today, robotics is a rapidly growing field. Robotics research is continuing to make smarter and more capable robots. NASA researchers have developed a way to make a crew of robots work together to grasp, lift, and more heavy loads across rough, varied terrain. The software allows the robots to "share a brain" so that each robot knows what the rest are doing. This enables the robots to work together the develop plans, such as how to maneuver around a rock or other obstacle the crew may encounter. Reference: Morely, Deborah; Parker, Charles. Understanding Computers Today and Tomorrow. Course Technology, 2011, Page 481-483, Page505. The Defence Advance Research Project Agency, which was known to be the agency which created the ARPANET which is the precursor to the internet that we enjoy today, creates and manages projects that cover a wide variety of aspects usually within the military industry. Recently, in a partnership with a company called Boston Dynamics, they have created a four legged robot that is able to sprint up to speeds of 28.3 miles per hour on a treadmill in their laboratory. This robot is also able to regain it's balance if it is facing a dynamic terrain or is pushed from the side. The reason they created this project is for emergency response, assistance, and other missions such as carrying cargo. Our service men and women often carry heavy combat loads which increases the potential for injuries. Lockheed Martin has come up with this new technology called HULC exoskeleton back in 2010. This design was much heavier and the battery power would die down after about an hour. When carrying such heavy loads this weight is transferred to the ground through powered titanium legs without loss of mobility. The HULC is a completely un-tethered, hydraulic-powered anthropomorphic exoskeleton. This can provide users with the ability to carry loads of up to 200 pounds for longer periods of time and over all types of terrain. This newer design can go up to 8 hours and lasts for days on a single charge if you are just standing guard. It is flexible enough for deep squats, crawls and upper-body lifting. There is a micro-computer attached within the suit that moves with the individual. It can operate on battery power for an extended amount of time and features a power-saving design, which means if the power is low it will continue to support the carrier and their loads. It can also support loads with or without power. Lockheed Martin is also exploring exoskeleton designs for industrial use and a wider variety of military mission specific applications. The HULC is now being revamped to be smaller, lighter, and more energy-efficient, including an unloaded machine gun on a pivoting mechanical arm. HULC adds an artificial external spine, hips, and legs to a soldier’s flesh and bones. They are also working on a fuel cell type which would last about 72 hours in the harshest conditions. It is being called cyborg combat. Google’s new project is working on cars that use artificial intelligence to drive themselves without the need of any human intervention. These vehicles can sense anything near the vehicle, they mimic the decision a driver makes, and they are programmed with road maps and speed limit information. Not only can the AI do everything that a human can, it can do it better. 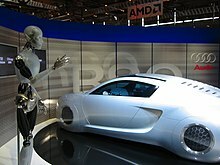 Robot drivers react faster than humans, have 360-degree perception, and do not get distracted, sleepy or intoxicated. These new vehicles could make driving safer and also be better for the environment. They can optimize the amount of fuel used and if accidents are no longer a concern, they could be built lighter thus requiring even less fuel. Also, if the cars do not require a driver, they could be summoned to different locations only when needed and allow for people to share vehicles, reducing the amount of vehicles on the road and the need for parking spaces. If this sounds too farfetched, consider the fact that Google has already drove the AI vehicles on the road and through city traffic. The vehicles performed as expected and the only accident was when one of the AI cars was rear ended by a human driven vehicle while waiting at a stop light. Retrieved from: http://www.thespec.com/news/business/article/266177--google-cars-drive-themselves-in-traffic on April 6, 2012. Personal robots are designed for individual use to assist with personal tasks. In addition, some personal robots are also designed for entertainment. “They typically use sensors, cameras, microphones, and other technologies to input data about their current surroundings, and then interact with people (P. 483).” Toy companies design robotic toys for children, and others are designed to help individuals with house work, such as vacuum cleaners and lawn mowers. 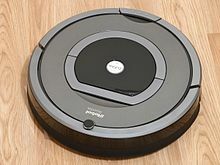 One of the common robots used for vacuuming is the iRobot Roomba®. “Household robots that can assist individuals with more complex tasks, such as putting away the dishes or picking up toys before vacuuming the living room, are a little further in the future, when robot technology improves to allow for better navigation and improved physical manipulation , and as prices come down (P. 483).” In the future, robots will become more human like (humanoid). These future robots will be able to assist the disabled and the elderly. What will be the future of personal robots? Resources: Understanding Computers Today and Tomorrow (Page 483), Morley and Parker. Robot technology has also made its way into businesses. Robots can be used to search for hazardous materials or gas leaks, all of which could potentially be dangerous for humans. Industries that use robots for these dangerous tasks include the coal mining industry. These robots can be used to mine coal or even to search for people in collapsed mines. They can also be used in assembly lines to speed up production and ensure that the product is consistently up to standards. Another area where robots are frequently used is in the medical field. There are robots that help facilitate videoconferencing. A doctor can control the robot to make his rounds, called "virtual rounds", without ever leaving his office. The medical field also uses robots in surgeries. In these robot-assisted surgeries, surgeons control the actions of the robot, allowing for more accurate results, and a steadier hand.Robots are often used by the military as well. They can be used to help navigate through caves, trails, buildings and other places to see if they are safe enough for the soldiers to enter into. They are also useful in locating and disposing of bombs, landmines, and other kinds of explosive devices. Water-based robots can perform underwater surveillance.Right now the military robots are controlled by the soldiers but researchers are currently working on autonomous robots that will be able to navigate by themselves. They will be able work on their own without any directions from a human operator, this will allow them to join soldiers into combat. Although there are many benefits in creating robots to benefit society, some people may have concerns with the idea of having robots around. Society has many concerns with the implications robots may cause, some may think that robots may come to close to realistic that may potentially harm humanity. Other concerns that may arise with the issue of having robots take over human jobs. Another disadvantage of having robots is that they may be expensive to build and maintain. Robots also have limited duties, so they are only able to perform specific task and are not able to think for themselves. Timing might also be a problem; at times of emergencies some robots may not respond properly. Reference: Morley, Debrah, and Charles S. Parker. Understanding Computers: Today and Tomorrow. 13th Edition. Course Technology, Cengage Learning, 2011. Print. This page was last edited on 4 November 2016, at 05:29.